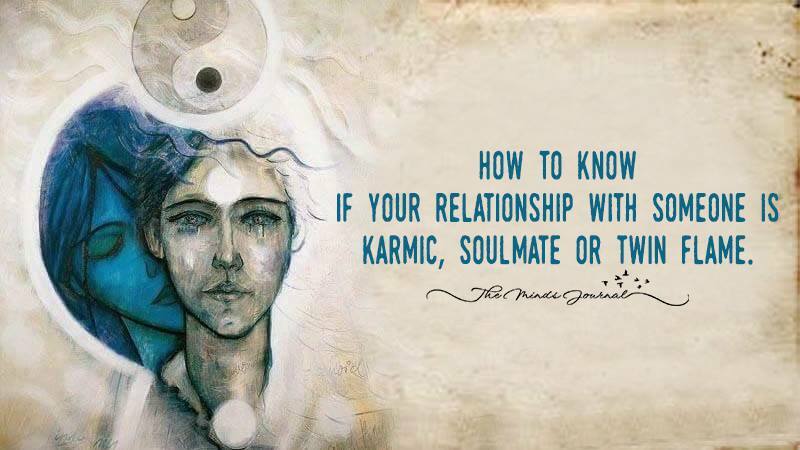 How to Know if Your Relationship with Someone is Karmic, Soulmate or Twin Flame. As we are evolving, so are our romantic relationships. No longer are we satisfied by those unions that are convenient or that seem to fulfill specific ideals that our families or society have taught us we should aspire to. We are searching for that once in a lifetime crazy type of love—but what really separates twin flames from soulmates and karmic relationships? Sometimes we may experience none of these relationships in a lifetime, and in others we may experience all three. The reality is that we often don’t truly realize which type of relationship we had until long after it’s passed and the lessons have been absorbed. Something is just off and doesn’t work, no matter how much we wish it did—but the worst decision we can make is to choose to not let go. Karmic relationships burn hot and seem almost intoxicating at times, but the entire point of these types of relationships is to come into our lives, change us—and then leave. Although some of us may experience several karmic relationships in our lifetime, the next stage after we conquer those lessons is often the soulmate love.